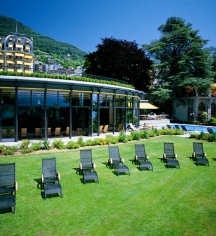 We are so thrilled with our amazing holiday at Fairmont le Montreux Palace. Luxury, elegance, history, comfort and so much more. We were so spoiled with our beautiful room overlooking a breathtaking view of Lake Leman and the Alps.we were treated like royalty. From our arrival with the super reception staff and the guest relations manager, Julien Roy Pilote. He made our stay more than memorable. As well, all the concierges were so helpful, especially Jose Gil, Chef Concierge. He gave us a priviledged visit of the hotel. Every corner of the hotel is exceptional. Antiques and glitter with brilliant chandeliers. The food is exquisite. Sunday brunch quite an event. The spa and amazing pools, as well as saunas are perfect any time. Nicola at the spa was very kind and ensured all was perfect. He gave us a tour of the entire spa. The rooms are immaculate. Gabrielle our chambermaid was terrific. Room service was very enjoyable, we were so pleased with Nolwen, our room service waiter. Just visiting this hotel is a treat, stay to be pampered and enjoy the memories. We will always cherish our stay. We thank everyone for making us feel like royalty in a palace. Thank you very much for your kind words describing your recent stay with us. Your message has been passed on to all staff concerned. It is of course always a pleasure to hear from a satisfied guest and the sense of achievement and satisfaction can be felt amongst the staff when they read such nice words. I derive the most pleasure from your comments regarding the attitude of our staff - something on which we strive to put a lot of emphasis. Thank you also for noticing the many small details we feel contribute to making Le Montreux Palace such a unique destination and experience. We very much look forward to welcoming you back to the hotel in the not too distant future. We would be most delighted to ensure that each future visit lives up to your expectations and your initial impression. i liked to stay in Fairmont and enjoyed for the short visit i did, its relay fantastic to have three nights in this area,luxury stay treated as king ,the spa and the bar was amazing,i liked the breakfast and the best was the view. We had a wonderful weekend. Booked 2 communicating deluxe rooms with lake view. The rooms were beautifully furnished, with plenty of space, and well equipped, and the fact that they were communicating was just perfect for us. The lake view was stunning. The hotel and staff were very efficient and friendly, and always a friendly word to the children, with a special mention to the concierge. The spa and swimming pool space very nice. I would however have appreciated more cabins to change. Breakfast was good, service impeccable. We also enjoyed the Sunday brunch, which is probably the finest brunch we have ever had. The only regret we have is that one night is not enough. We'll certainly come back. 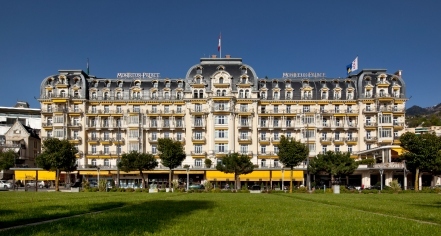 Many thanks for having taken the time to express your feelings following your recent stay at Fairmont Le Montreux Palace. I am delighted to read that you enjoyed your time with us and I have shared your kind words will all staff members, it is always gratifying to know that we have been able to please our guests. We are very much looking forward to welcoming you back to the Swiss Riviera. Stayed here for 2 nights over the weekend with the family. Booked last minute, only had rooms with mountain view left. Was ok because we anyway only were in the room during the night. One room was very small though for 2 people. The other one was ok.
Breakfast was very nice, good selection. Spa is beautiful! Great massage and lovely pedicure. Prize for the whole weekend was ok as well. Best Hotel in town, good service, a bit old school but this is part of the history. Would recommend and come back again. Beautiful hotel right across the street from the lake. Hotel needs a little TLC, noticed chipped paint and stained rugs. For the price I was expecting more. The room was very warm, heater system is controlled for the whole property. Watch out for the very expensive drinks at the bar, $28 for a bad margarita. Montreux is gorgeous but not much to do, everything seems to close early. Next time we will stay in Lusanne.